Apple’s latest Mac operating system, OS X EI Capitan is going to be available today to the general public and it’s believed that the shipped version is somewhat identical to the Gold Master build that early adopters are already using. However, there are still some wonderful changes as compared to the EI Capitan that will be certainly welcomed. OS X EI Capitan is quite an useful update to come after last year’s Yosemite release, that came in a flat, new design and tighter integration with iOS. However, if you are someone who liked Yosemite, then you are surely going to appreciate the tweaks here, ignoring how minor they seem to be. 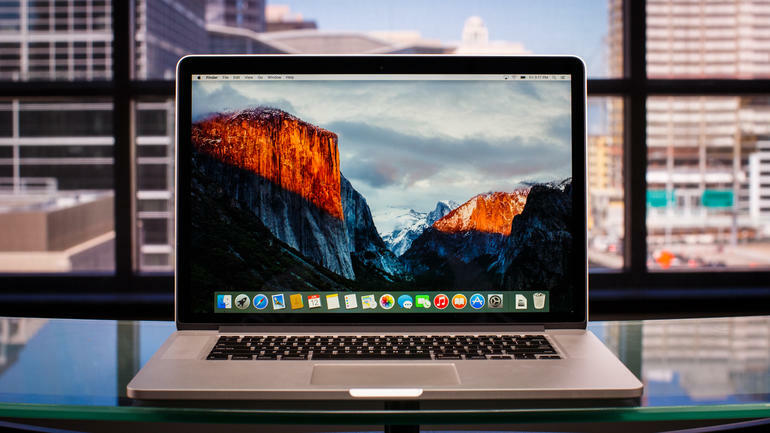 To start with, you need to ensure that your computer meets the system requirements like EI Capitan and then in order to install the update, you’ll need a machine with at least 2GB of RAM, 8GB of available storage and an existing storage build of OS X 10.6.8 or higher. EI Capitan runs on the new 12.inch MacBook as well as works on MacBooks from at least late 2008, MacBook Pros from mid- to late 2007, MacBook Airs from late 2008, Mac Minis from early 2009, iMacs from mid-2007, Mac Pros from early 2008 and Xserve servers from early 2009. In terms of visual, there is not much change, as EI Capitan has the minimalist, flat aesthetic introduced in Yosemite, with flat, 2D icons and semi-see-through menu bars. The new feature named Find My Cursor is effective in finding your misplaced cursor lest you fail to see it on the screen. 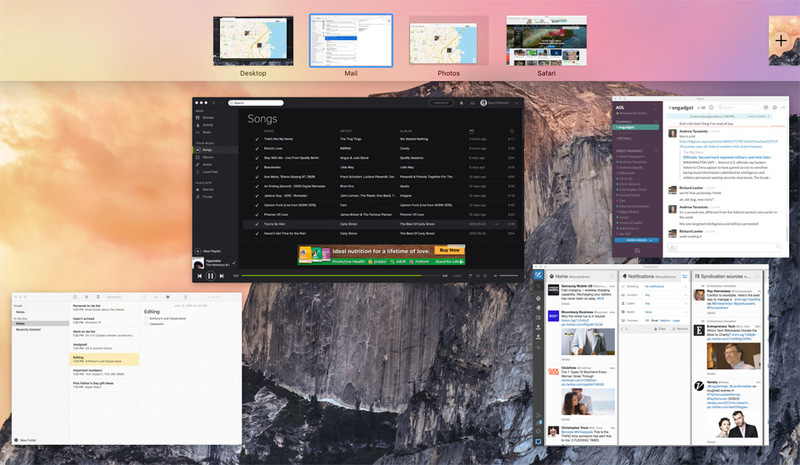 At the same time, its multitasking feature is an added one, such as Split views enables the users to run two apps side by side at full screen and use a slider running down the middle of the screen. This way, you can interact with each app independently, like zoom the text on one as well as hover with the cursor and start scrolling in either window, without having to click on the one you want to use. Similarly, there are other options, like Mission Control to perform the action, where you can drag a window on top of another window in the Spaces Bar. 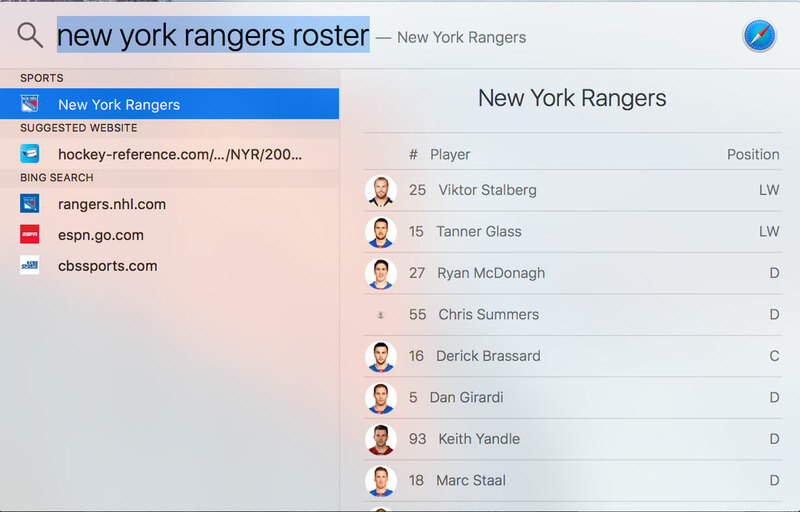 OS X’s built-in Spotlight search was well received by the audience, as it allows gaining the ability to display Wikipedia previews, web search results, movie times and iTunes purchases. This feature can also be used to access system settings. This newest browser from Apple has extraordinary features like it adds pinned sites and if you’ve used a similar feature in other browsers like Chrome, then the concept will be easy to understand for you, as they work quite the same. In many ways, Safari 9 is going to be a success as it also has Spotlight suggestions, to match the system-level Spotlight search. This way, you get previews of stock and weather information here too. Newly named, this app ‘Photos’ is quite an update as it has gained many editing features that Apple got Aperture replaced. This is underpinned by new app, iCloud Photo Library allowing access to your photos on any other device where you’re signed in with your Apple ID, be it a Mac, iPhone or iPad. There is an optional setting allowing you to pull in photos from other sources like Instagram and Layout. 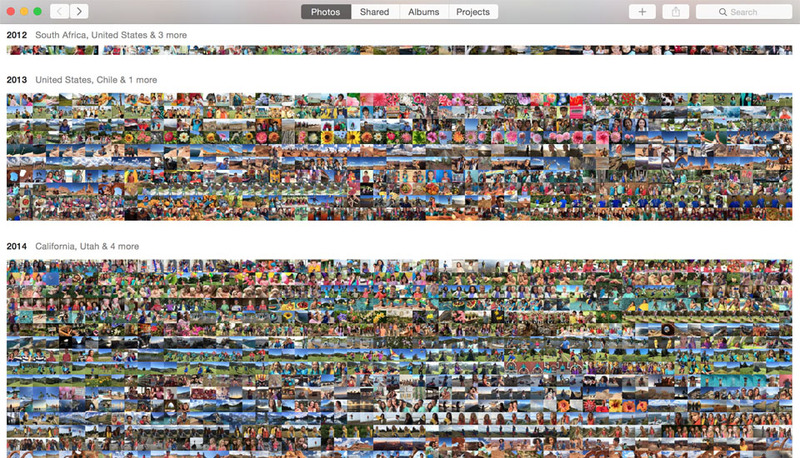 Having a new look, this app has sorting options similar to Photos on iOS. Besides, it presents editing tools, like cropping, auto-enhancing, straightening, rotating and a suite of Instagram-like filters for the starters. Then there are more advanced options as well, such as sliders for light, color and black-and-white. In all, you are going to enjoy using this feature. 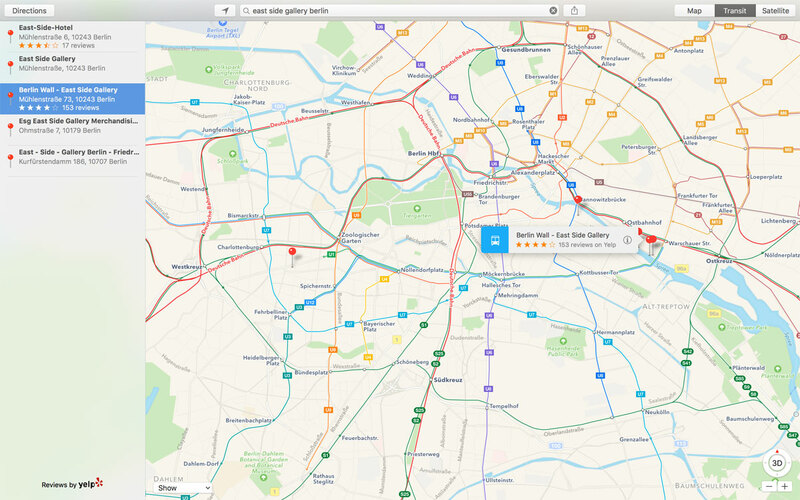 There is an improvement in the Maps section in the form of built-in transit directions, comprising of subways, buses, ferries and commuter rail. Presently it will work in cities like Baltimore, Berlin, Chicago, London, Mexico City, New York, Philadelphia, the San Francisco Bay Area, Toronto, DC and over 300 in China, and it is certain to expand further in coming days. This updated version of Notes app also match the new Notes application in iOS 9, which means you can format your to-do lists with checklists, and also drag in various multimedia elements, including photos, video, PDFs, audio clips, map locations and iWork documents. This allows you to click on a separate “attachments” view that enables you work on the individual files added to notes. With the same, you can share to Notes from most of Apple’s built-in apps, like Maps and Safari, as well as third-party developers will be able to build this option into their apps as well. With EI Captain, Apple has ensured faster performance thus the expectations are extremely high. All can be said is that the performance has been spontaneous with apps being quick to go in and out of full screen; in and out of Split View. However, Google Maps and Engadget’s publishing system do load slowly in the browser, which can be avoided looking at the other advanced features and finer performance. Conclusion: Well, as we compare OS X EI Capitan with Yosemite, it can be said that it presents lots of small improvements which are noteworthy; however, if Yosemite failed to impress you, then you may not get excited about this. Apple and Google continue their rein; secure top slot! Google’s Nexus 6P review: It seems a good phone!